I made some rough measurements and the mask is approximately 19.5″ tall overall (from chin to the tips of his horns), 11.5″ ear to ear, and 8.5″ from the back of the ear to the tip of his nose. The color is dark brown, but there are traces of red paint in a few places and on the wood inside (maybe red lacquer?). I’m not sure if he ever had teeth but it looks like there may have been a separate piece that was attached on the inside of the mouth. 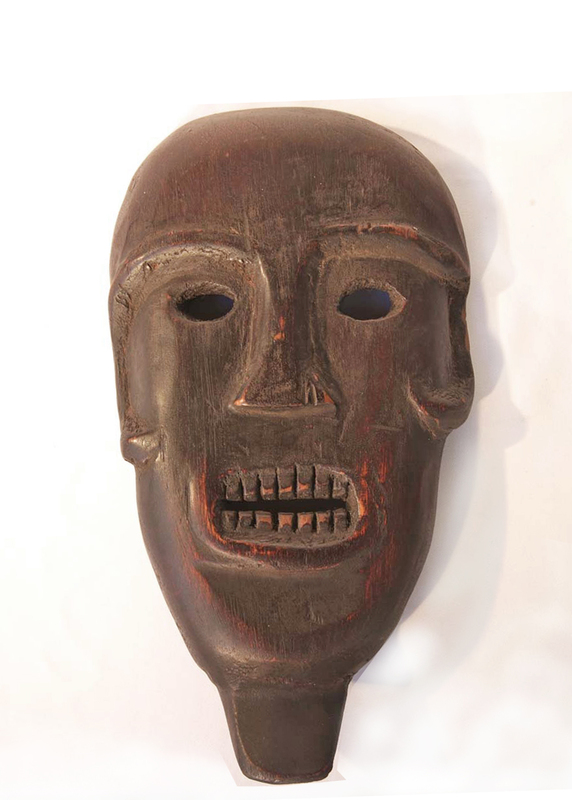 If anyone has seen or has a mask similar to this, I’d really like to learn anything about what this mask represents. Thanks so much!! 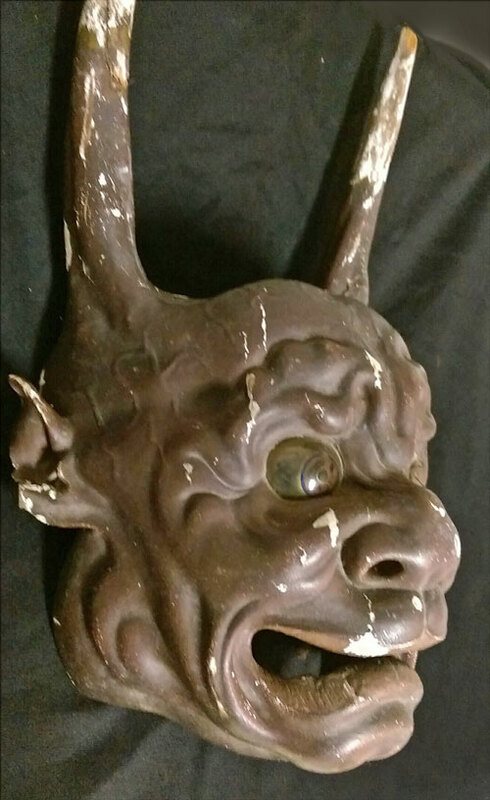 It’s not a Noh mask, it’s a Bugaku mask. 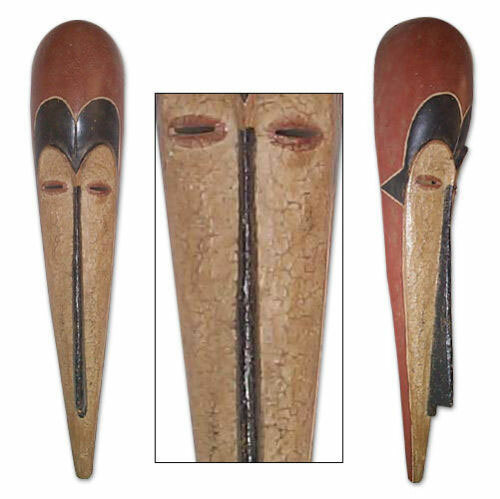 Noh masks would not have a bite bar, because they are mostly speaking parts. 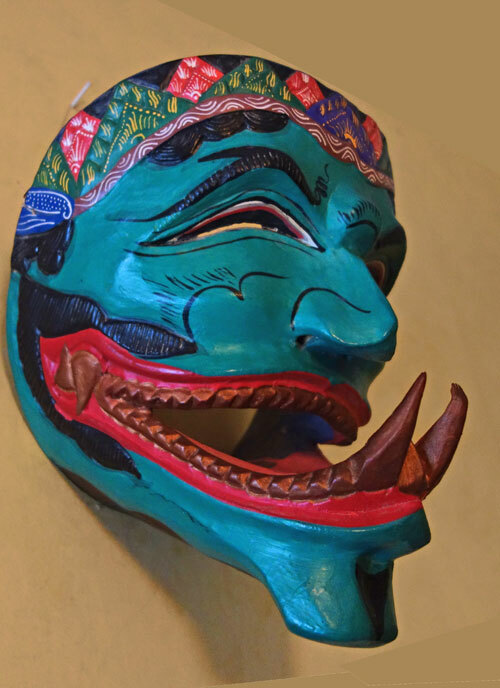 Bugaku is a Shinto dance drama with no speaking, so a bite bar is common. Thanks, Aaron. I looked up Bugaku on Wikipedia and found that bugaku is the oldest known surviving court dance and music in the world. Others have long since died out. Japanese culture is ever accommodating and expanding. So while accepting new culture, Japanese people feel a sense of duty to keep such traditions alive. 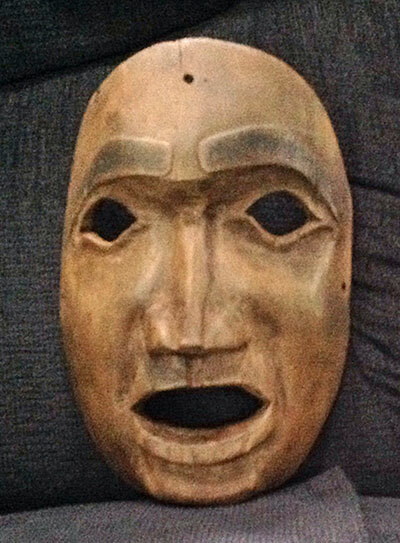 So Damon’s Bugaku mask could have been used in performances before it ceased to be cared for. Thanks!! I looked at some Bugaku performances on youtube – really beautiful! I’m not sure this mask had a real bite bar though – the leather looks more like just a strap to go around the back of the head, and it’s hooked to heavy gauge wire attachments in the ears (in the ear canals) and a third attachment on the edge of the mask at the top of the head between the horns. 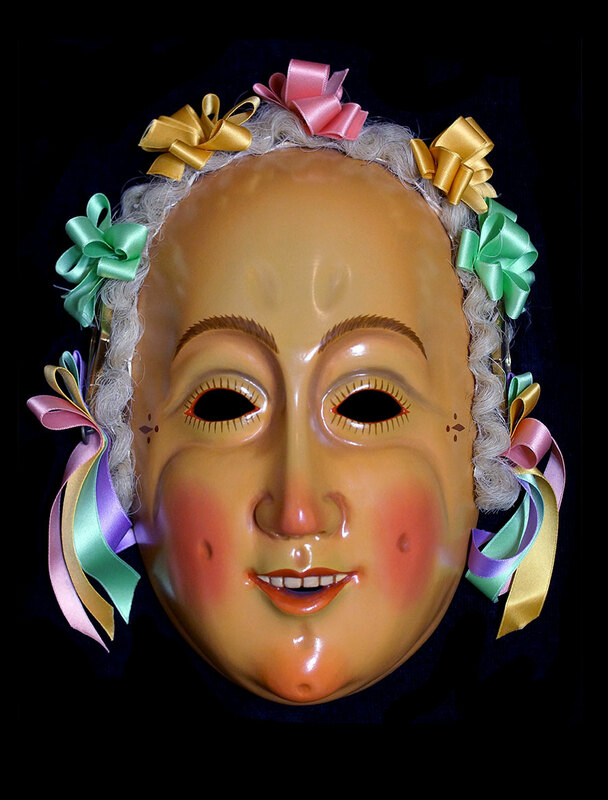 I’m still searching online, but still haven’t found a mask that’s quite like this one with glass eyes. Is there a lot of variation in designs for Bugaku demon characters? 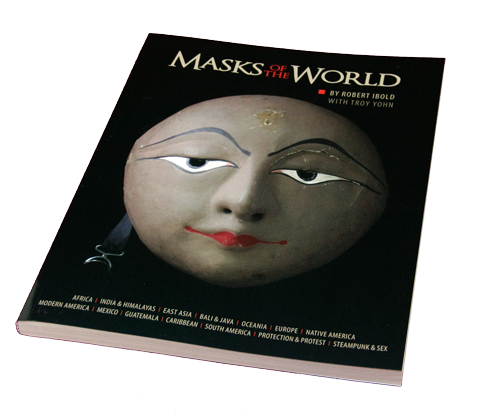 Just checking back to see if you learned more about your mask, and if you would share it with us.